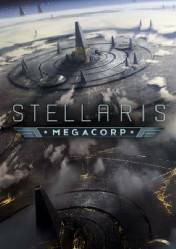 Attention: This product is a Steam key for Stellaris: MegaCorp (although it may also be available in other versions such as the Steam Gift), depending on which store you buy. Each of the available formats must be activated in a certain way, so from Gocdkeys we recommend paying attention to details and information on activation of this type of formats. Stellaris: MegaCorp is the latest expansion of Paradox's space strategy game. This new DLC places special emphasis on the economic part of the game. It focuses on the industrial and commercial aspects of the title and equips it with new game mechanics. We will be able to become the CEO of a powerful corporate empire and expand our commercial treaties to the confines of the galaxy. One of the most important points of the new game mechanics focused on the economy, is the creation of branches on planets within the empires with which we will have trade agreements and will be indispensable to increase our profits. We will be able to control all commercial aspects and become a dominant economic power. But beware, because we will not be the only one with commercial interests and our competitors will even be willing to go to war with us for the control of the planetary commercial routes. There are no comments yet about Stellaris: MegaCorp. You can be the first one!